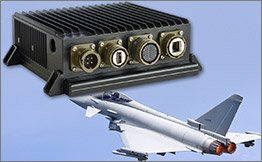 The CEC10 product Family is a high performance, low power, and highly integrated rugged Embedded Computer. 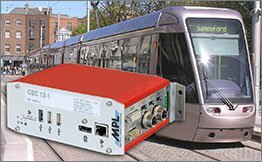 The solution is available in various chassis, a compact aluminum housing with DIN-Rail or flange mount, a rugged MIL IP67 case, or an open frame solution with a cooling plate. The unique chassis solution allows to operate the CEC10 products in a moderate and also in a harsh environment without the need of fan or ventilation holes, up to -40°C to +85°C. The design integrates standard connectors for easy connection or lockable headers, depending on housing choice. Therefore, the CEC10 Family boards can be used for any x86 application where a complete but still expandable solution is needed. The CEC10 Family housings offer sufficient space for a 2.5 inch HDD/SSD or other expansion requirements. With the integrated PCI-Express Mini Card slot, the new CEC10 can easy be expanded with any mPCIe module. The product comes with a unique board interface which offers 2x PCIe, 2x HSIC, 2x UART, SATA, SDIO, LPC, and I2C. 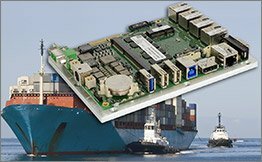 This allows a maximum on customization for any I/O Boards and allows to extend the system with additional interfaces. For example; GPIOs, additional serial ports, Gigabit fiber ports, CAN, additional miniPCIe slots, or even PCI/104-Express port. Particular precautions have been taken that the entire system EMC is within the CE and FCC limits and that standards like EN50155, IEC 60945 or MIL-STD-810 can be met. The CEC10 Family has been designed to withstand any harsh environments and extreme temperature conditions. The special rugged design, combined with the best industrial-grade components, offer high reliability and long-term performance. 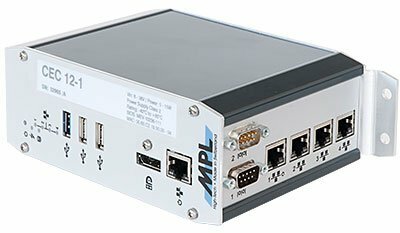 The CEC10 is available for different Industries and is the perfect embedded computer solution for industrial environments, railway applications, MIL/ COTS applications, or whenever a rugged long-term available computer is needed. Watchdog Timer Configurable granularity 1-255 sec. or 1-255 min. The cooling plate for the open frame versions is chromated. Depopulated versions with headers can also be offered.